This is a brief review of the ASP P16 baton, which I have used for approximately three months as of the writing of this post. The P16 is a 16″ mini-baton constructed of 7057 aluminum in the middle shafts and 4140 high-carbon seamless steel tubing in the striking surface. The baton diameter is 7/8″ and 6.5″ in length when retracted. The P16 weights 6.7 oz, which makes the baton ideal for detectives or security professionals who place a premium on concealment and total equipment weight. The Crosstech knurled grip (similar to the ASP Agent) has spiral micro-grooves and a clip may be used to help secure the baton to pant or jacket pockets. Here is how the expanded P16 compares to my 17″ MacBook Pro. The P16 is operated as any other ASP baton and requires a hard surface such as concrete to retract and close the baton. An internal clip may be adjusted to fine-tune deployment and retraction to individual preferences. To do so, the baton tubes and related assembly are unscrewed from the handle. The tip is then unscrewed to reveal the internal clip, which may be pinched to tighten overall operation or loosened to reduce the amount of effort required to open and close the baton. On a personal basis, I found the P16 to be ideal for ‘light’ equipment configurations. The baton is easily deployed from any number of positions. The only issue I have experienced is the baton inadvertently opening when carried in my left pant pocket. This behavior does not appear to be unique to the P16 as I experimented with a larger baton and noticed the same issue. Something in the routine of sitting, standing, and walking throughout the day causes the baton to open. I did not, however, have any problems with quickly deploying the baton in the event of a non-intended opening. ASP claims that only two percent of striking force is sacrificed with the P16. My personal belief is that the P16 is best used as a melee weapon and to deliver quick ‘stingers.’ It provides law enforcement and private security with a quickly deployed option for use against edged and other impact weapons. 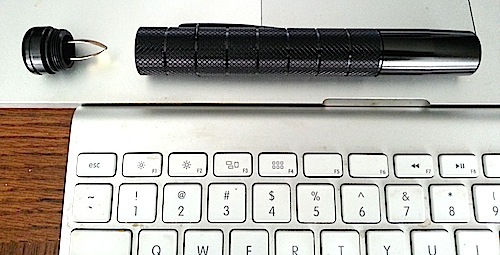 if you are looking for a highly effective striking device, then I would recommend a more traditional full-sized baton.